The editors of the journal MicroHebdo of January 19, 2012 (No. 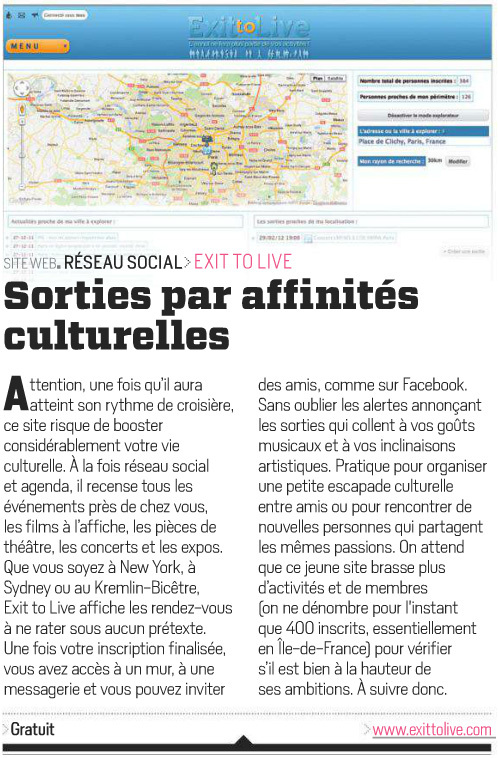 718 - page 49) has written a great article about the site ExitToLive.com, explaining well the interest brings the site to Internet users, we want to thank the entire team of MicroHebdo. Find the full review below.